I’ve lived in the Washington, DC area for nearly 15 years, and having the beautiful mountains of West Virginia so close to my backyard has been a saving grace. How quickly you can find yourself lost in a mountain laurel forest, walking alongside one of the state’s many streams, like Otter Creek, where the only sounds you hear are those that nature provides—birds, water rushing over rocks, wind whipping through the tree canopy. The mountains of West Virginia are a respite for so many of us. But sadly this respite—a place that so many call home—is being ravaged by corporate greed. When I told my 10-year-old son that I had to take another business trip, he became despondent. Why, he asks? 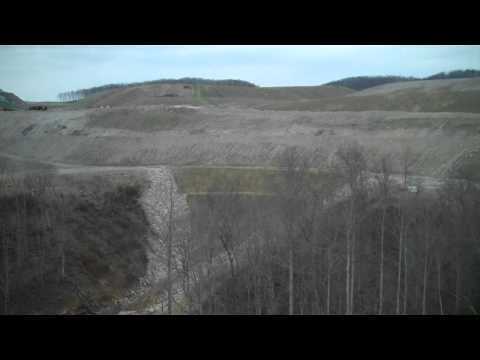 First, tar sands mining in Alberta, Canada, and now mountaintop coal mining in Appalachia? I shared with him, I need to see the other West Virginia, the one I had only seen in pictures, in order to truly grasp what is happening to a region so close to home. Two weeks ago I joined a few of my National Wildlife Federation colleagues on a trip to Charleston, WV, that countless others with similar interests have taken. We wanted to better understand what is going on in a region of our country where the coal industry is allowed to blow off the tops of mountains and rip apart communities, families, and the rich landscape. What we found reminded NWF CEO, Larry Schweiger, of the lawless mining days of the 1960s: politicians and law enforcement officials looking the other way when confronted with egregious violations of federal law. Big coal owns Central Appalachia and operates with complete and utter disregard for the people and the land—a land rich in stories, history, cultural heritage and natural beauty. After two days of touring the region from the land and air with local leaders like Vivian Stockman of Ohio Valley Environmental Coalition, I returned home to my two children who were eager to hear what I learned and saw. I paused— how could I communicate in words the depths of the tragedy that I had seen? Central Appalachia is home to some of the oldest mountains on earth. The area where mountaintop mining occurs—including southwest Virginia, southern West Virginia, eastern Kentucky, and northeastern Tennessee—is also one of the most biologically diverse regions in the U.S., providing habitat to over a thousand different plant and animal species. Now it is a landscape that is visibly ravaged by an industrial cancer. Mountaintop coal mining has destroyed over 500 mountains, a million acres of forests and over 2,000 miles of streams. It also has destroyed a way of life among the people there, people who delighted in the refuge the region’s mountains offered. Welcome to Central Appalachia: where tap water runs brown and the air is filled with soot and smog. It’s where towns have been displaced or flooded or otherwise destroyed. In those that remain, family members suffer from a range of illnesses, many of them chronic or fatal. It’s where locals talk about black bears being buried alive in their dens as bulldozers literally move mountains to get to the coal seams. It’s where the fish are now too toxic to eat and the residents can’t go hunting the way they used to—it’s where their children are no longer safe to roam. Central Appalachia: where the local people feel like they are being erased—their towns, their families, their traditions. Central Appalachia is a place filled with sadness, yet it is simultaneously filled with individuals who have tremendous courage and spirit. It is their deep connection to the land that has inspired them to join hands and fight. For their home. For their way of life. For their children.